Trail starts at Table Mesa exit from I-17. 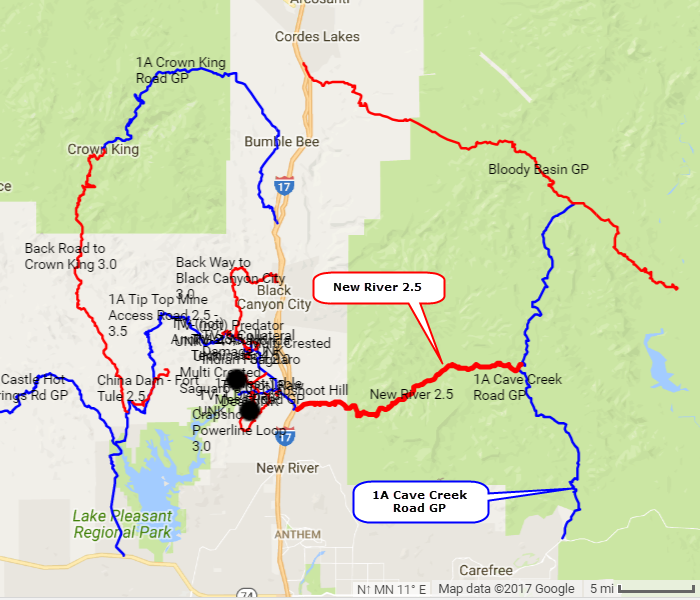 Some maps call this the Table Mesa Road, but since it follows New River it is also called New River Road to avoid confusion with the nearby BLM Table Mesa OHV Area. 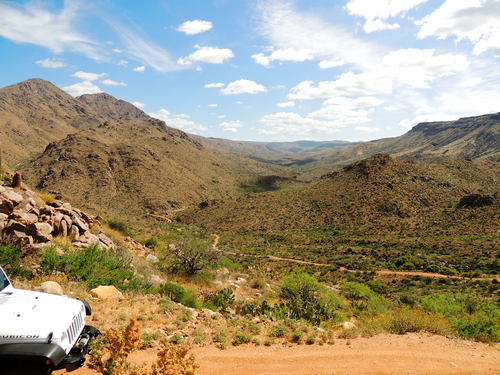 I have rated the Jeep trail at 2.5. The difficulty is on the low end of this rating, but the bumpiness would be a 4.0. Allow between 2 and 3 hours. 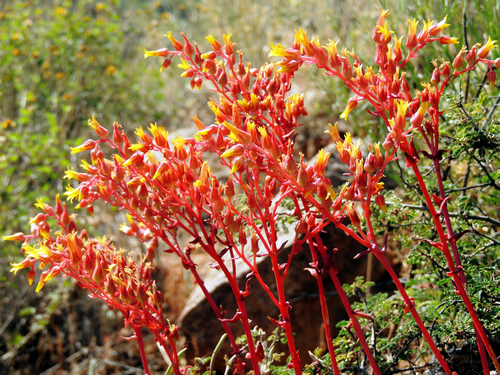 We went in May and there were many specimens of the Live Forever Plant growing in the rocky areas along the road. 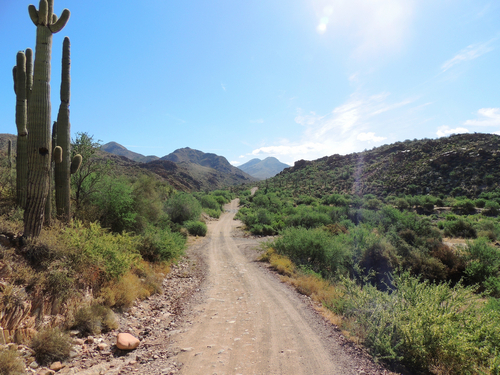 The east end of the road is at the Cave Creek Road, a very well graded road. You can turn north and do Bloody Basin or turn south toward Cave Creek.